Namibia Water Corporation Limited (NamWater) successfully issued its first corporate bonds on the Namibian Stock Exchange on 24 April 2015. 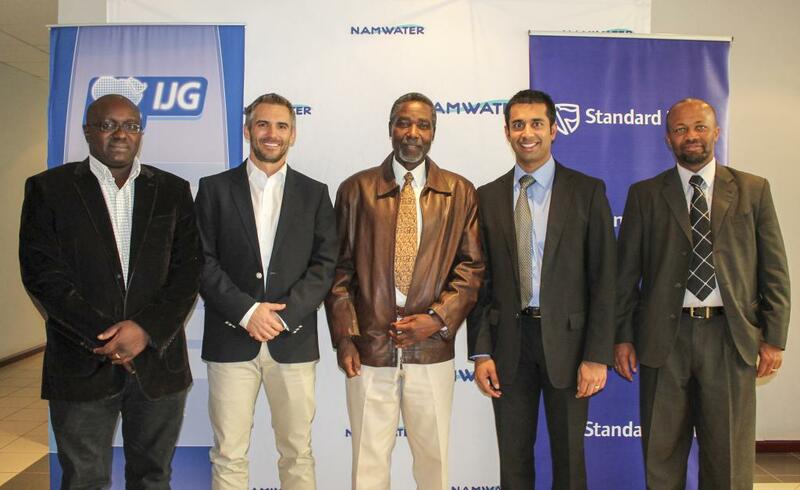 The issuance was supported by Standard Bank Namibia and IJG Securities who acted as joint lead arrangers, sponsor and rating advisors to NamWater. NamWater anticipated to raise between N$150 million and N$200 million, however due to an overwhelming positive response from the market, with total bids amounting to N$468 million received from investors, a total of N$200 million was allocated and issued to successful investors. Through our active involvement in the Namibian Capital Market, Standard Bank Namibia and IJG Securities were well positioned to successfully assist NamWater with its Medium Term Note Programme (MTNP) and resultant debut bond issuances. Furthermore, Standard Bank dominates the domestic currency markets in Africa and raised over US$4.4 billion in 2014 alone. This resulted in Standard Bank being ranked number one by Bloomberg in Sub-Saharan Africa currency bond issues, excluding South Africa. IJG Securities has extensive and proven capital markets experience in Namibia and has helped raise in excess of N$2.2 billion on the local bond market for issuers since 2000. Additionally, IJG Securities has assisted six of the last eight issuers with their MTNP’s and as a result has become the sponsor of choice. In the most recent stockbroking awards IJG Securities was rated number one in the country. “In light of changing bank regulations, the capital markets offer a viable alternative to traditional funding mechanisms whilst providing an issuer with competitive funding costs and instrument flexibility,” says Gaby van Eeden, Manager: Investment Banking at Standard Bank Namibia. In addition, Standard Bank Namibia’s Coverage Manager, Nambata Angula, says the success of NamWater’s Corporate Bond further aides in growing the existing domestic capital markets in line with the Namibia Financial Sector Charter. “This is a positive sign for the Namibian Capital Market and it is also a good way to raise funds or capital that will ultimately stimulate the financial markets,” says Angula.